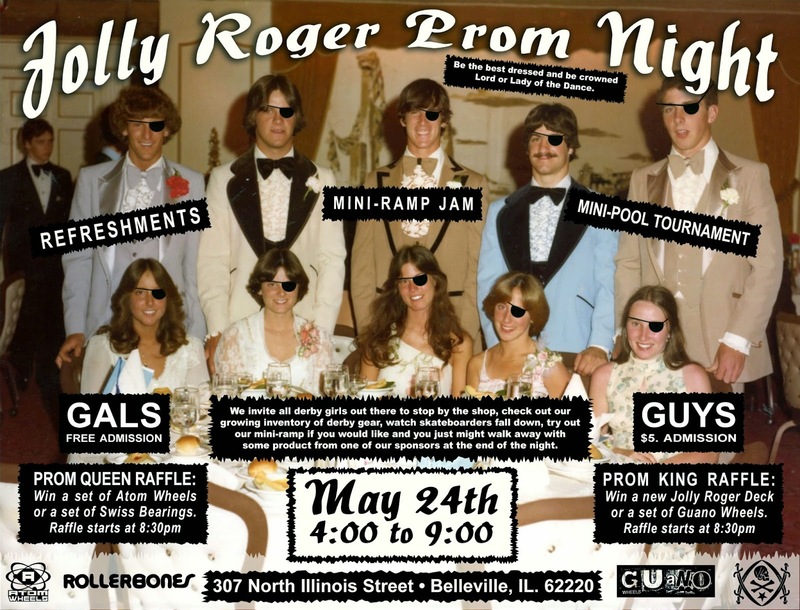 Our Jolly Roger Prom Night is getting close. Whether you ride 4 or 8 wheels, we invite you out to the shop for a night of skateboarding, refreshments, a mini-pool tournament and from what I hear there is going to be a chicken wing eating contest (with a $50 Grand Prize). We will also be having two raffles going on to determine the Prom King and Queen. The Gals have a chance to win a set of Atom Wheels or a set of Swiss Bearings. For the guys we have a deck and a set of Guano Wheels that we will be raffling off. 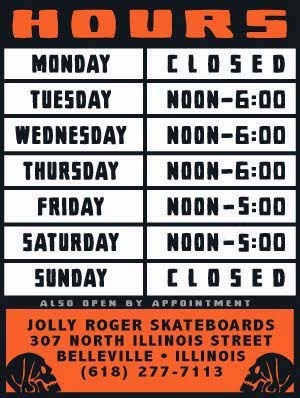 Come out and support your local skate shop.